I’ve wanted a fitness tracker for years. Something discreet with good battery life that not only quantifies my movement but also packages the data in a way I can understand. The UP3 promised that and more last autumn, and now its ready to ship but it’s bringing along two new friends. The new UP2 and UP4 join the UP3 and last year’s super cheap (and great) tracker, the UP Move, as a full family of fitness trackers. But all eyes are on the UP4, which brings some “first of its kind” cred to fitness-focused wearables. In the US, Jawbone has partnered with American Express so users can use the UP4 to make payments at participating American Express contactless terminals. The only cosmetic different between the UP3 and the UP4 is a small symbol on the band that lets you know where the NFC chip is. Plop your wrist down on a terminal, and bam. Payment made. One card can be entered through the UP app, but all the data is stored on American Express’s protected servers. But mobile payments isn’t the only trick Jawbone’s adding to its wearable line-up. There’s also this whole complicated web of new devices that needs sorting. Let’s dig in. The UP4: The UP3 + an NFC chip for mobile payments through American Express. Coming sometime this “summer” in US, wider international release TBC. The UP3: A treasure trove of sensors strapped to your wrist, including an accelerometer, heart flux sensor, skin temperature sensor, a sensor for galvanic skin response, heart rate sensor, and a respiration sensor. 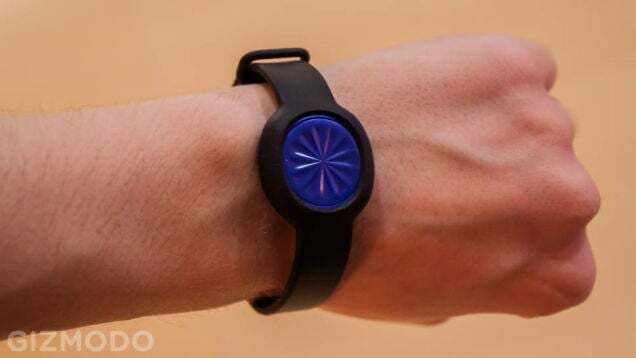 It can measure stress, resting heart rate, steps, calories, REM sleep, you name it, but you’ll be paying for £149.99 The UP3 was delayed due to complications with water-sealing around the embedded sensors. It’s since degraded its waterproofing claims from “submerged under 10 metres” to “splash-resistant”. The UP2: Basically a replacement for the UP and the UP24, Jawbone’s original tracker that counted steps and sleep. It looks just like the UP3 with the same materials, but with a slightly smaller profile. It can’t do all of the fancy tracking stuff that its more expensive sibling can, but at least it’s nicely priced at $100 (UK pricing TBC, available internationally "later this year". . The UP Move: A £39.99 clip or wrist-wearable, released last autumn, meant for fitness tracking on the cheap. It’s the best at what it does for the price. All these trackers do lack one pretty important spec: a display. The UP2, UP3, and UP4 all have three embedded LEDs that represent daytime mode, night mode, or if you receive a notification or reminder from the UP smartphone app. A quick double-tap turns on the LEDs and a long press lets you switch between modes. The double tap function is kind of crappy. I’d say when it was working at its best, I’d tap awake the LEDs about 50 per cent of the time, which definitely isn’t great. But you most likely won’t mess with it much throughout the days anyway, just when you wake up and go to sleep. Whether Jawbone will usurp the deeply entrenched frontrunners like Fitbit Charge HR is ultimately a question of personal preference. Need a display that tells time? Looks elsewhere. But if you want something in an incredibly small device that’s packed with a trench coat full of impressive fitness tracking wares? Maybe the UP series is something worth considering. We’ll know for sure once we get our asses in the gym.